A CCTV camera captured the moment a woman tried to illegally pump fuel but dearly paid the price. It appears the gas pump allows one to pump gas before paying for it. As an attendant comes up to the car, the driver immediately takes off, hurling the woman in the air. During the incident, the gas pump breaks, uncorking a waterfall of gasoline onto the pavement. It’s unclear if the thieves got caught, but since the car’s license plate was captured on camera, police would have no trouble finding them. “Instant karma,” some people said in the comments section. “Now the driver has to explain to the girl that he wasn’t going to leave her there,” another wrote. “Why was she picking up the fire extinguisher BEFORE the car even started driving away?” asked another user. In Australia (again), thieves once attempted to siphon gas from a bus got a nasty surprise—they instead tapped the sewage tank. The unidentified thieves spotted a parked bus in Laverton, Australia, at night, reported the Daily Mail years ago. But the story this week has gone viral again, perhaps because of the “instant karma” nature of the story and because so many people have been victims of gas siphoning. When they attempted to siphon the gasoline, they instead got a mouthful of raw sewage. “We can infer they beat a very hasty retreat, with a somewhat bitter taste in their mouth,” police spokesman Heath Soutar was quoted by the Mail as saying. 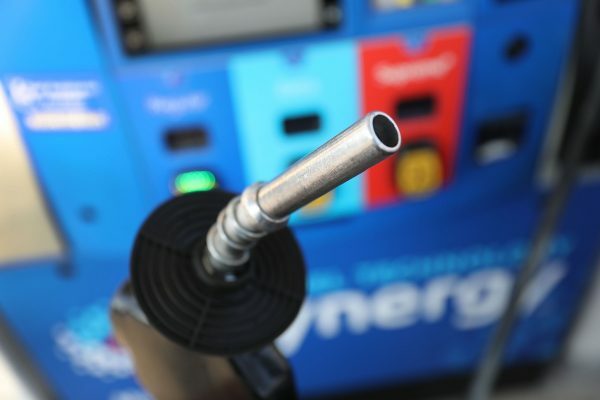 The average U.S. price of regular-grade gasoline is up 10 cents a gallon (3.8 liters) over the past two weeks, to $2.44, AP reported.